Disraeli Gears is the second album by British blues-rock group Cream. It was released in November 1967 and went on to reach #5 on the UK album chart. It was also their American breakthrough, becoming a massive seller there in 1968, reaching #4 on the American charts. The album features the two singles "Strange Brew" and "Sunshine of Your Love". The title of the album was taken from an inside joke. Eric Clapton had been thinking of buying a racing bicycle and was discussing it with Ginger Baker, when a roadie named Mick Turner commented, "it's got them Disraeli Gears", meaning to say "derailleur gears," but instead alluding to 19th Century British Prime Minister, Benjamin Disraeli. The band thought this was hilarious, and decided that it should be the title of their next album. 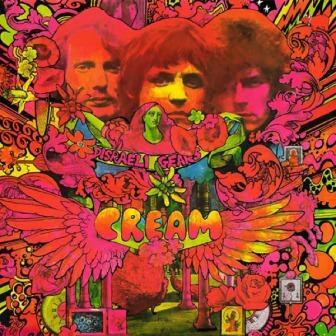 Had it not been for Mick's turn of phrase, the album would simply have been entitled "Cream." In 2003 the album was ranked number 112 on Rolling Stone magazine's list of the 500 Greatest Albums of All Time. VH1 also named it their 87th greatest album of all time the same year.